Denver is truly a blessed city. Its beautiful people, primo mountain views, and just about everything else under the (300 days of!) sun provide plenty of cause for celebratory drinking, and you can't always wait until the sun is down to start celebrating. Try one of these 10 places when you feel like hitting the sauce while the sun is up. If you are going to hop the wagon during the day, have it be at ViewHouse. 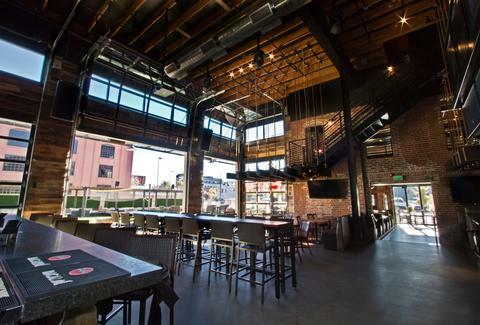 The legendary patios, massive beer list, and large array of classic cocktails make boozing at the ViewHouse something you should try and try not to forget. It also boasts a huge lunch menu of salads, sandwiches, and every girls dream: half-salad, half-sandwich combos! And if you haven’t noticed from your perch on the rooftop patio, bungalows and yard games adorn the side lawn for the backyard-feel you need in Downtown Denver. The doors open at 11am and don't close 'til well into the evening. 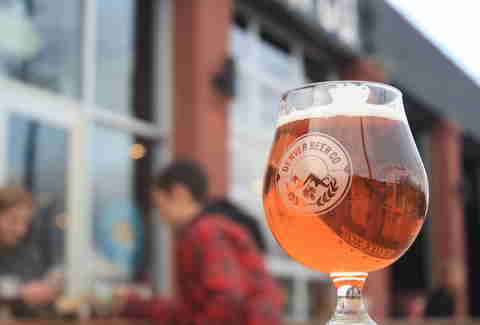 A day combining the Colorado sun and the Colorado brews by Denver Beer Co. is day well-spent. The garage doors open at high noon, making the DBC one of the earliest opened breweries in Denver and making you a "hoppy" (heyo!) day drinker. After downing a couple powerhouse beers like Sun Drenched Ale and Graham Cracker Porter, order up a warm pretzel and/or snag some more sustenance from one of the rotating food trucks parked outside. BSG may not be the "extended stay" kind of place, but make sure you at least consider it for a pit stop. The doors open up at 3pm and if you have enough money to buy a foot's worth of a certain chain restaurant sandwich you can afford to get a good buzz on. 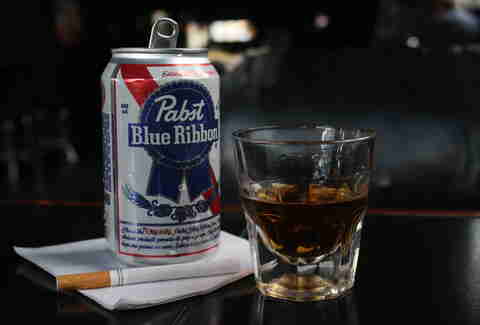 Order yourself "The Billy Jack," a beer, shot, and cig combo for just $5. 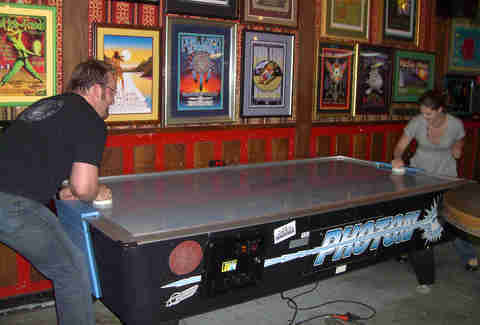 With all the bar games available, you may find yourself here awhile, so feel free to order as many as you like because the deal goes all day long. A true diamond in the rough sort of place that so few people drink at during the day. Usually packed on any given night, The Horseshoe Lounge shows its beauty during the day with the bright sun shining through the floor-to-ceiling windows on ruby-red leather booths, '70s era carpet designs, juke boxes, pinball machines, and beers your granddaddy drank. Patrons can pop tops to classics like Natty Lite, Busch Lite, Milwaukee’s Best, Old Milwaukee, Lone Star, Hamm’s, and many more that'll likely bring back memories of being cash-strapped. 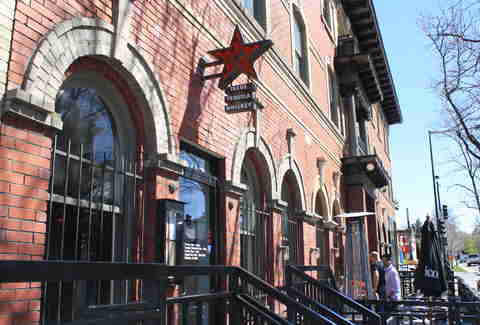 Once you cross the threshold into Sancho’s you might as well forget the outside exists. Seriously, there are zero windows in this Colfax staple, making the time fly by in haze of beers and shots in Grateful Dead excess. PBR is the bar's main export and its flows daily starting at 11am (it's doubly delicious at 4pm with two-for-one drafts as the main happy hour deal). If the sun was shining when you walked in, it probably wont be when you walk out of this "thinking place." 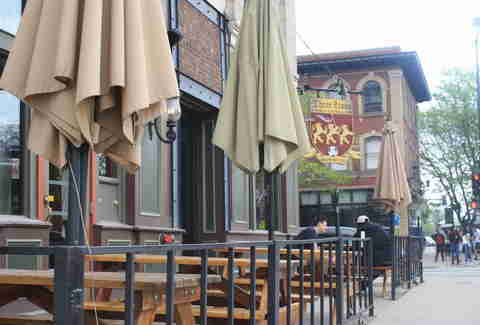 This soccer-focused pub on Colfax is a go-to move on any day drinker’s radar. The charming and styled pub boasts a seriously good tap list of beers like Boddingtons, Smithwick's, loads of ESB-style suds, and, of course, Guinness. These Euro-brews pair nicely with classic fare like fish & chips or banger’s & mash. You can get your first pint at 11am weekdays and 10am weekends, and if it’s a match day, Three Lions cracks their doors as early as 7am. In the name of drinking with the sunrise, soccer just became your favorite sport. 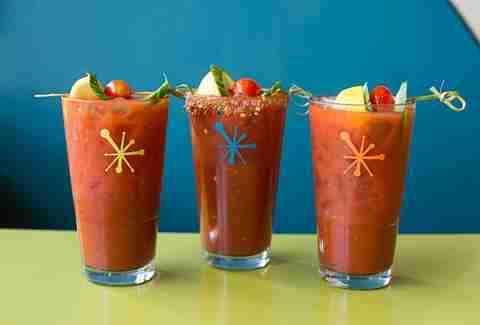 If you choose to devote your day to drinking before 5pm, make your first drink, of anything really, at Snooze Union Station. Their fine selection of breakfast inspired libations make drinking at Union Station all the more cool. Order yourself a traditional bloody and then spiced it up with a sriracha, cilantro, basil, and fish sauce laden drink known as the Bangkok Bloody. After that, have them sling some AM Manhattans that uses Breckenridge Bourbon and espresso cream because you cant drink all day if you don’t start in the morning. Located just a block of Colfax, Pinche is your little piece of paradise, and lets be honest, whose paradise isn’t a taco joint with a killer happy hour? Opening up at noon daily, Pinche dishes out pork belly tacos with crispy chicharones at your beck and call while you work through cans of cerveza or rounds off margs. Happy hour starts at 3pm and ends at 6pm, but prove you know your way around a day of drinking and come on Mondays, when happy hour runs all day long. This place is for when you want to have a drink before some people have had their first cup of coffee. Nob Hill Inn will pour you a pint from its dusty taps as early as 7am, the earliest you can legally pour alcohol in Denver. Don’t be surprised if you have to wait for a beer because the place is fairly busy in the morning. The Nob Hill Inn is a common trough frequented by third-shifters having their after-work beer. Great Divide is easily one of the best breweries in Denver, so starting your day with a solid hour here is proof of high IQs and BACs. The tap room tenders will happily serve up a pint of liquor store basics like Hoss, Nomad, and DPA at noon daily, and hopefully they’ll also have one of their many seasonal brews ready for drinking, like the oak-aged Yeti Porters. The patio scene is small and is first-come, first-served (no excuse to not arrive early) and always has a nice aroma of sweet hops and tasty food trucks. 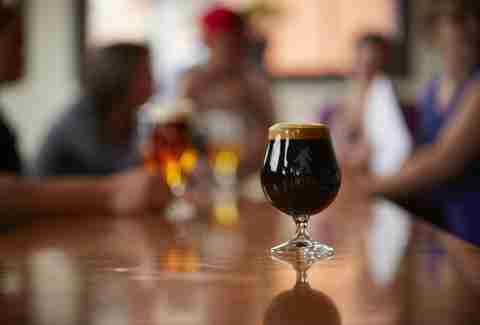 If you start with a beer at Great Divide, you’re already having a great day.